The official trailer of the much awaited film Sanju was released on May 30, 2018 and the trailer has already garnered 12 million views on the video sharing site YouTube. The three minute long video impressed the audience but left with a few questions on what is Anushka Sharma’s role in the film and more. 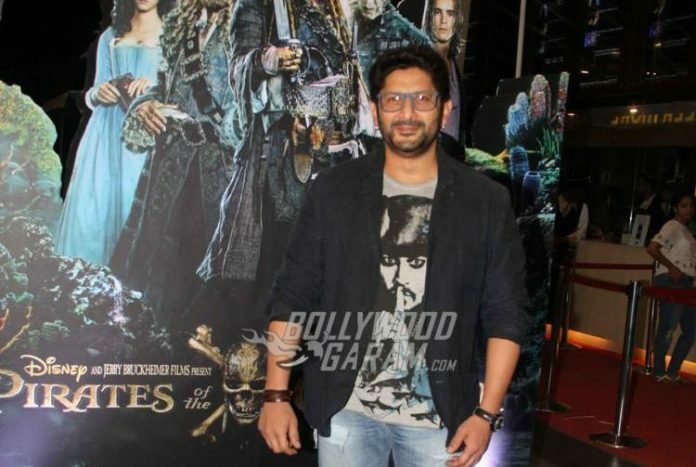 However one things that a few might have noticed is the cameo of Arshad Warsi in the trailer. After watching the trailer a few times it can be noticed that Arshad appears along with Ranbir Kapoor in a scene from M Bole Toh from Munna Bhai M.B.B.S. This does not come as a surprise as it was Rajkumar Hirani who gave Sanjay Dutt two of the most successful films Munna Bhai MBBS and Lage Raho Munna Bhai. So it was natural to include Arshad in the narrative. About Arshad’s portion in the film it is still not clear but the trailer has given a glimpse of his presence.